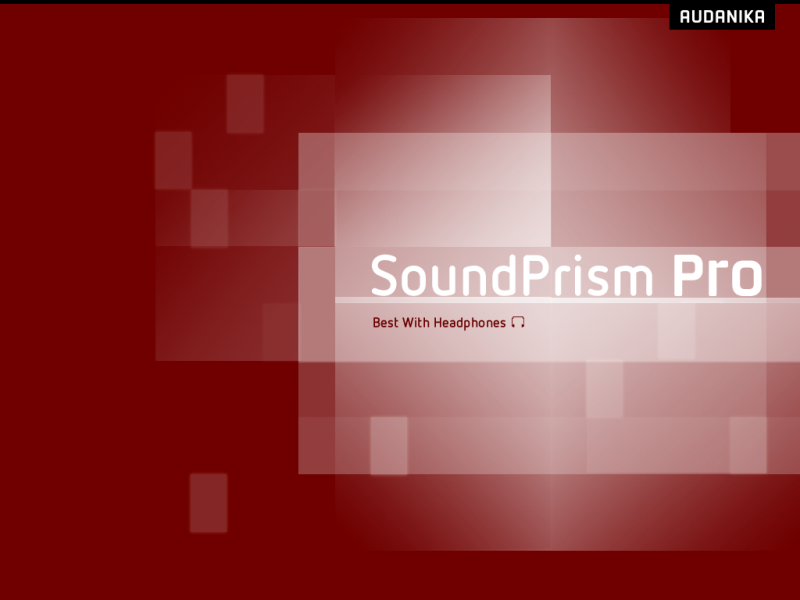 SoundPrism Review - Easy music composition for iPad, iPod touch or iPhone! You want to play an instrument, or compose music for your new app or a YouTube trailer, or maybe just because--but, problem is you know little or nothing about music in general, the keyboard, synth or piano especially. SoundPrism can help! Seriously, this app makes it difficult to not make decent sounds come out of your device!! Firstly, let me say I could not adequately cover every aspect of this amazing sound tool in one review. It just does too many cool things. Audanika provides very good help on their web site (you need an internet connection, however). To start the app and jump in playing great sounds is so easy, a 2 year old could do it! I do not exaggerate, and though I am pretty much clueless with a synthesizer, I had little trouble figuring out the music key matrix. 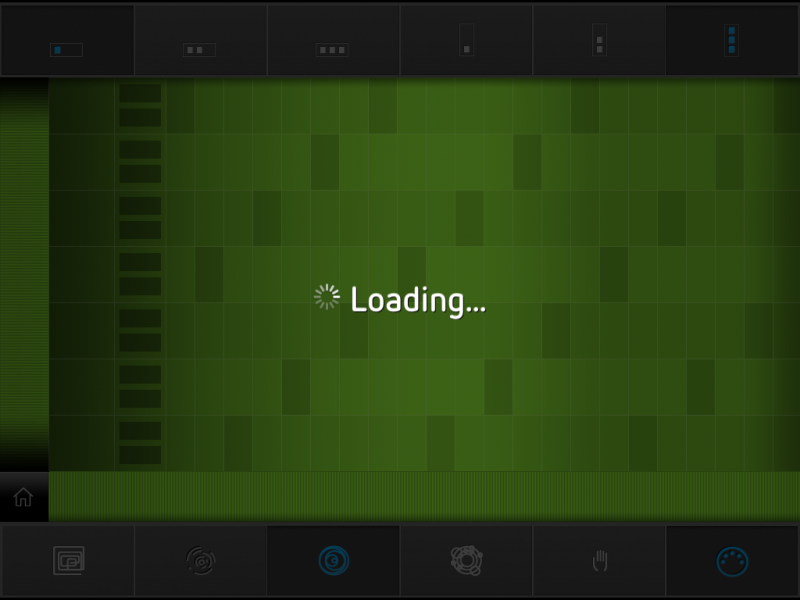 With the additional core MIDI--via Pro version--capabilities, a good music creation app becomes a serious studio tool. You can grab it here, and it is only 19MB, so feel free to use your connection of choice. I tested it mainly on my iPad running the latest OS (requires iOS 4.2 or later), and had no major problems to speak of. I must admit, not being an electronica gear head (my Roland and Line 6 guitar amps have all the effects and patches I care to experiment with, and I hate pedals), the MIDI control features were a bit lost on me. Anyway, I am still trying to get this to work with my computer, but suffice to say, if you want to really expand the capability of SP from a musician's aspect, you will want the Pro version, and the ability to link up with your Mac or PC to use the MIDI controls. 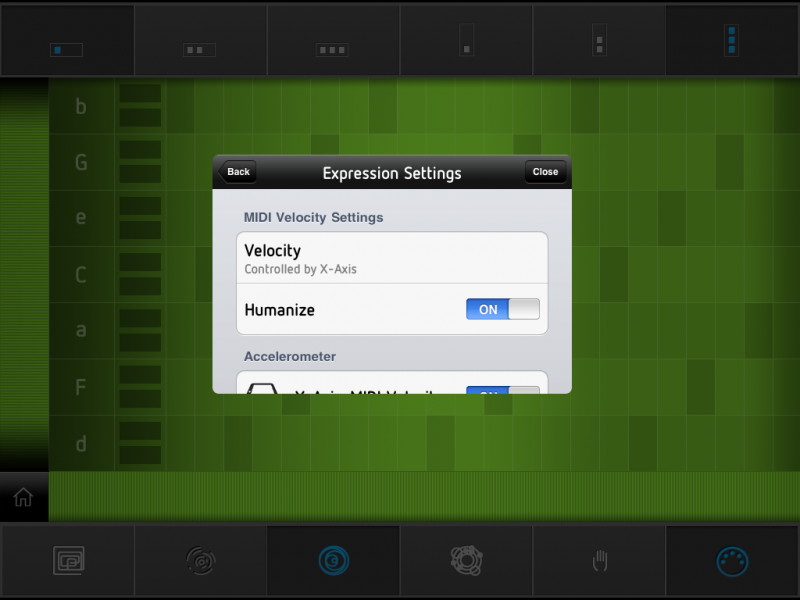 Simply described, it allows you to control MIDI input (filters, levels, pitch, and much more) with controls unique to the iPad or iPod like the accelerometer, or touchscreen input. I hope to swing back at a later time when I have it fully working, and comment more on these features. 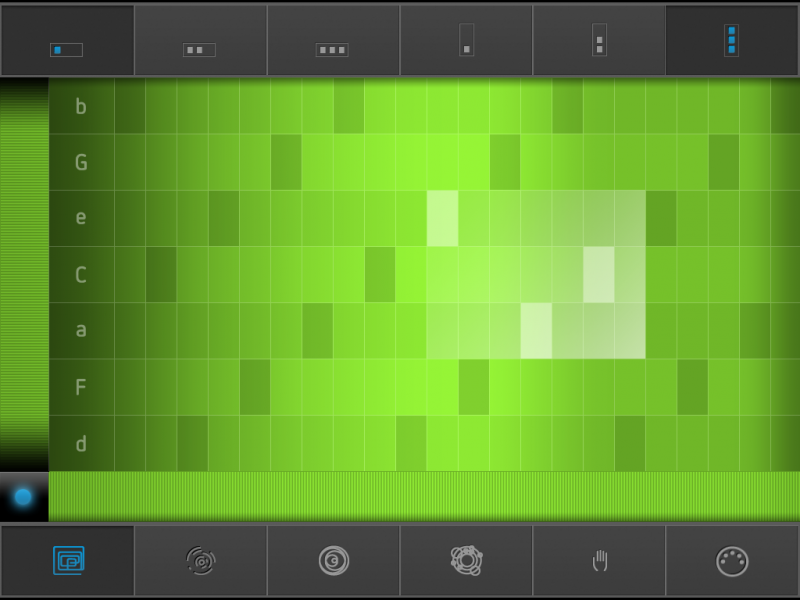 SP is probably one of the coolest music creation apps on the app store. I say that about a bunch of apps, I know, but this time I mean it. The interface is easy and intuitive, and the feature set is robust. 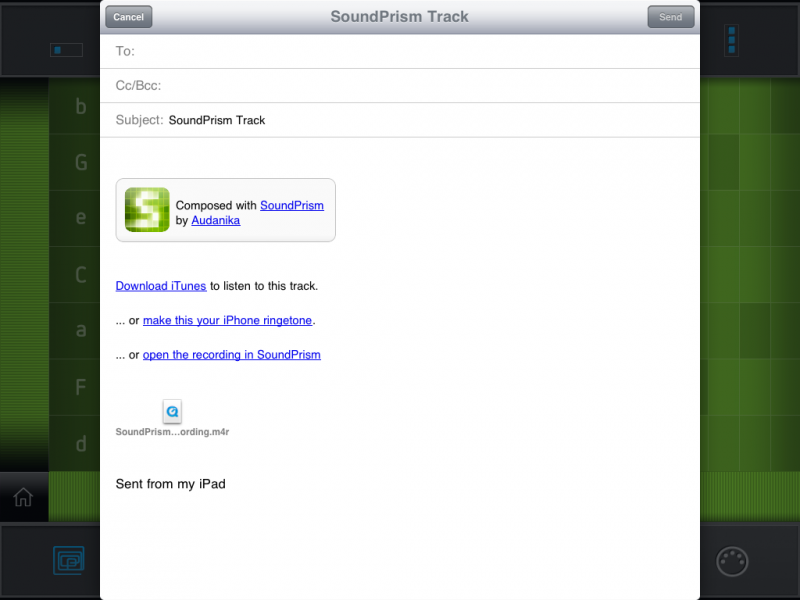 If you are need a mobile composer toolchest on your iOS device, you will want to grab it. You can get it on the app store link below (Pro Version here). The basic version was still free in the US store last time I checked, and the Pro version is back up to $15.99.